The massacre of 58 people including 32 journalists is the single biggest atrocity against media workers. 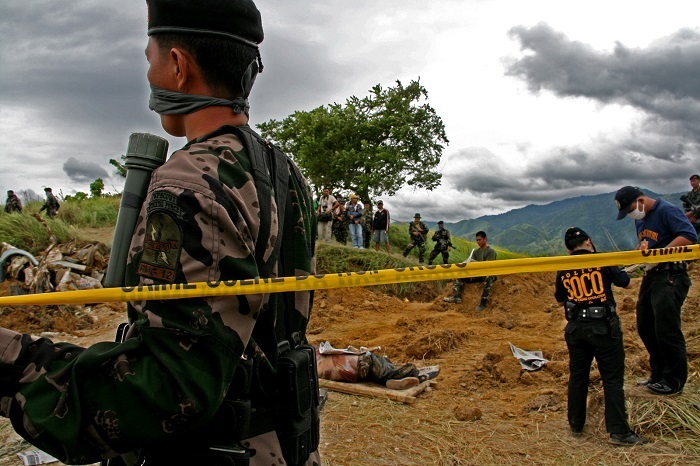 The slaughter in Mindanao in the southern Philippines took place seven years ago today. It was an "unprecedented act of political violence". Journalist Nonoy Espina described the massacre site as a "cake of death"; bodies and vehicles piled and squashed into crude mass graves. 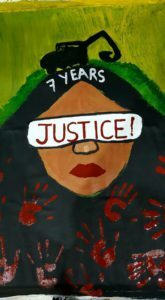 For the families of the victims of the Ampatuan Massacre, seven years have passed and there is still no justice. While the authorities identified 197 suspects, only 112 were arrested. Some 81, many of them members of the Philippines National Police, are still at large. And as the trial has dragged on, at least four prosecution witnesses have been killed, most likely silenced. The horrifying massacre shocked and sickened the world. How could this supposedly strong Asian democracy with such a vibrant and robust press play host to an audacious and brutal bloodbath of this scale? How could the killers think that no-one would notice; that life could continue on, business as usual? How could so little effort be expended to bring the killers to justice and ensure a prompt and speedy trial? We now know that the Philippines is a tragic centre of excellence for extrajudicial murder and that successive governments have either turned a blind eye or, in more recent days, urged on the killers. Indeed, journalists have been singled out as a category that can be gunned down with impunity with more than 143 media workers murdered since 1990 and convictions recorded in only a tiny handful of cases. Read the National Union of Journalists of the Philippines statement on the seventh anniversary of the massacre. MEAA is assisting the families of slain journalists, contributing to the education of the massacred journalists' children, through the Media Safety and Solidarity Fund. 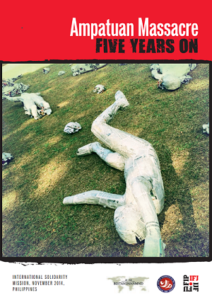 Read the IFJ report on the fifth anniversary of the massacre (at issuu.com or download a printable .pdf version of it here), examining what happened on November 23 2009 and the international solidarity mission's recommendations for how to respond to the crisis of impunity affecting the Philippines.